When potential exposures to airborne contaminants are a source of concern, United Analytical Services, Inc. (UAS) certified experts work to identify, evaluate and control the unwanted hazards. UAS offers a wide variety of industrial hygiene / indoor air quality and risk assessment services to the industrial and commercial building owners, property managers and schools. Assessment may include testing for chemicals, particulates, noise, heating, air conditioning, ventilation, tobacco smoke, moisture, allergens, temperatures, toxic gases, vapors, aerosols, radiation and ergonomics to name a few. Larger and more comprehensive studies may include assessment and testing for comparison or compliance with ASHRAE Standards for Thermal Environmental Conditions or Ventilation and/or the U.S. Green Building Council LEED Certification guidelines. Our team of environmental professionals will come to you on-site to identify and evaluate the potential hazards. Depending on the nature of the visit, our team may include a board certified industrial hygienist, professional engineers, architects and/or scientists. Once we evaluate the project, we’ll devise a plan specific to your environment to address or control potential air quality issues or hazards. 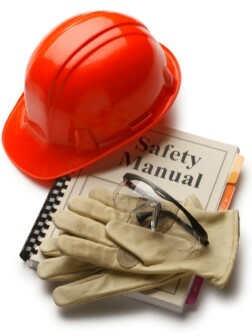 Contact us for workplace safety measures with our Industrial Hygiene Services.